Looking for a soft and subtle shaded sofa set that could look fresh and bold in your colourful and vibrant living room? Look no further, when you have the Gregory 3 Seater Sofa that’s sure to enchant all your visitors with its elegant look. 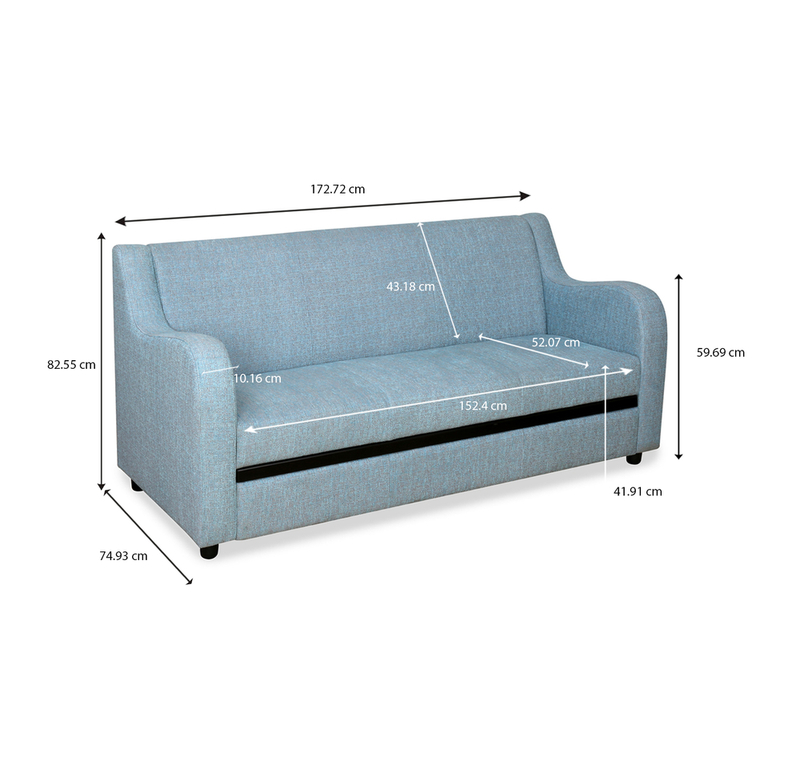 With a tincture of sky blue, this sofa is specially crafted for absolute comfort. The frame is constructed with high-quality solid wood and the legs are made of plastic. It has an upholstery of Polyester. The seating is constructed with Webbing to ensure absolute seating comfort. Hang a painting on the wall along with a side table on the side of the sofa, making the frame a perfect one. Place it in your hallway or in your office, the Gregory Sofa is to serve its purpose of comforting the visitor’s just fine.